జీప్ రాంగ్లర్ అన్లిమిటెడ్ 8 వేర్వేరు రంగులలో అందుబాటులో ఉంది - Billet Silver, Rhino, Chief Clear Coat, Granite Crystal, Gobi Clear Coat, fire cracker red, Black, Bright White. This car is a very attractive car for everyone, as this car can be used in all areas and all kind of terrains. Jeep Wrangler has given excellent performance till now. It has good looks. 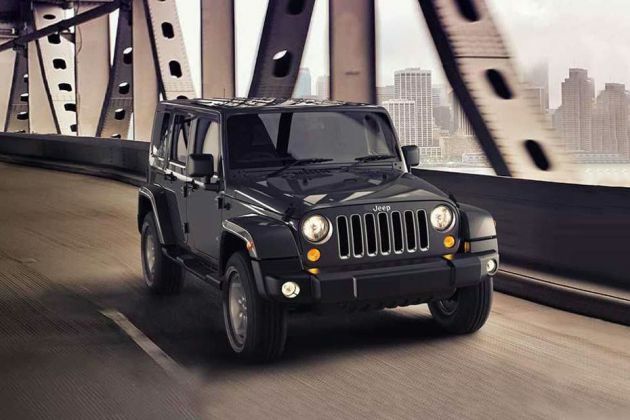 Jeep Wrangler is a super car with a great interior moreover it is a good car for hilly drives and the engine sound of Jeep Wrangler is super. Jeep Wrangler is a nice car and VIP person every chose and looking very smart And mileage full fill and seating is very important for personal music system very nice. Excellent for off-roads as well as on-roads and so many features are available for the convinience. జీప్ రాంగ్లర్ అన్లిమిటెడ్ మరియు గ్రాండ్ చెరోకీ ఎస్ ఆర్ టి లని 2016 ఐ ఎ ఈ కంటే ముందే ప్రైవేటు గా ఆవిష్కరించారు.